Beyond Fundraising, LLC is now Alexander | Carrillo Consulting, LLC! Please visit this site soon to be directed to our new website: www.do-good-better.com. 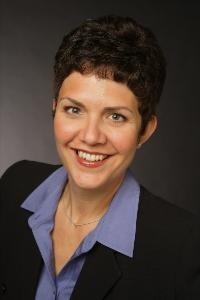 Jenny Carrillo, MA, CFRE is co-founder of the consulting partnership Alexander | Carrillo Consulting, LLC. After seven years in solo practice as a consultant with her firm, Beyond Fundraising, Jenny merged with Laura Alexander of Alexander Associates in 2010 to found their new business partnership. Together, Jenny and Laura represent nearly 40 years of experience in non-profit management, governance, planning and fundraising. Jenny has nearly 20 years of experience in the non-profit sector. She has earned an outstanding reputation for planning and executing effective fund development strategies for a variety of organizations. Her experience and current work includes fund development planning; major gift solicitation; training and facilitation; capital campaign feasibility studies; campaign planning and coordination; organizational and strategic planning; grant writing; and special events. Before starting her own consulting practice in 2003, Jenny was Director of Development for Arizona’s Children Association and previously worked for Big Brothers Big Sisters of Tucson, Southern Arizona AIDS Foundation, Shanti Foundation [Tucson], Up with People [Denver, CO] and Youth Service America [Washington, DC]. Jenny received her Master of Arts degree in Philanthropy & Development through St. Mary’s University of Minnesota. Her thesis research focused on how organizations make the transition from “fundraising” to “development” and became the inspiration for Beyond Fundraising. Jenny also attended The American University in Washington, DC where she earned her Bachelor of Arts degree with a double major in Public Affairs and Public Communications. Jenny has achieved the professional credential of Certified Fund Raising Executive (CFRE) by demonstrating proficiency of professional practice, performance, education, service and a commitment to ethical fundraising. Committed to professional development and advancing philanthropy in Southern Arizona, Jenny is an active member of the Southern Arizona Chapter of the Association of Fundraising Professionals and served as the chapter’s President in 2005. She was selected by her peers at Southern Arizona’s Outstanding Fundraising Executive in 2006. She is married to a fifth-generation Tucsonan, Leo Carrillo. They are proud parents of daughters Quincy and Carson.